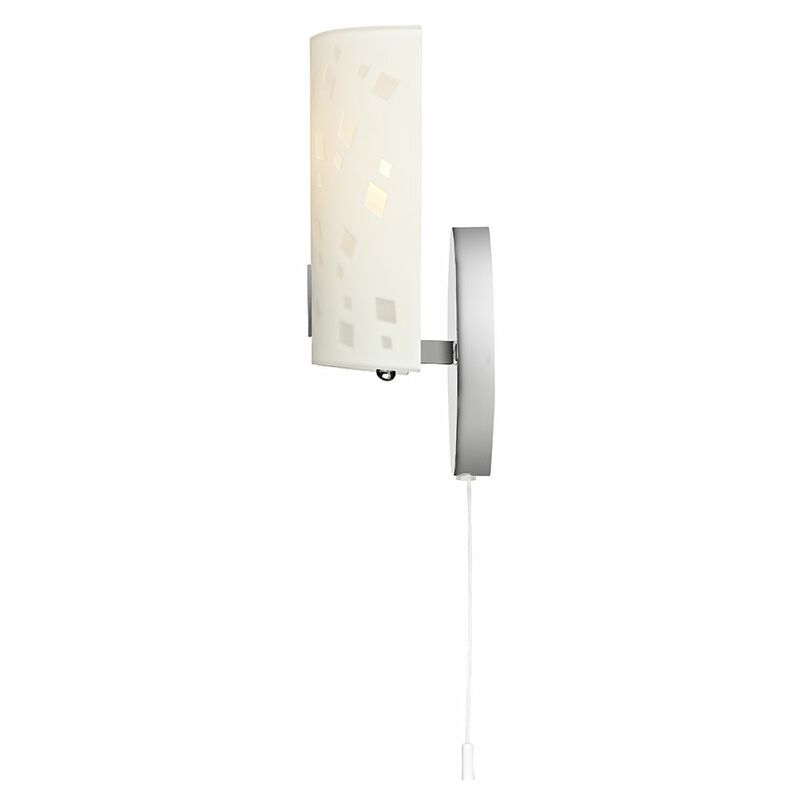 Contemporary and stylish flush wall lighting fixture with polished chrome plated metalwork. 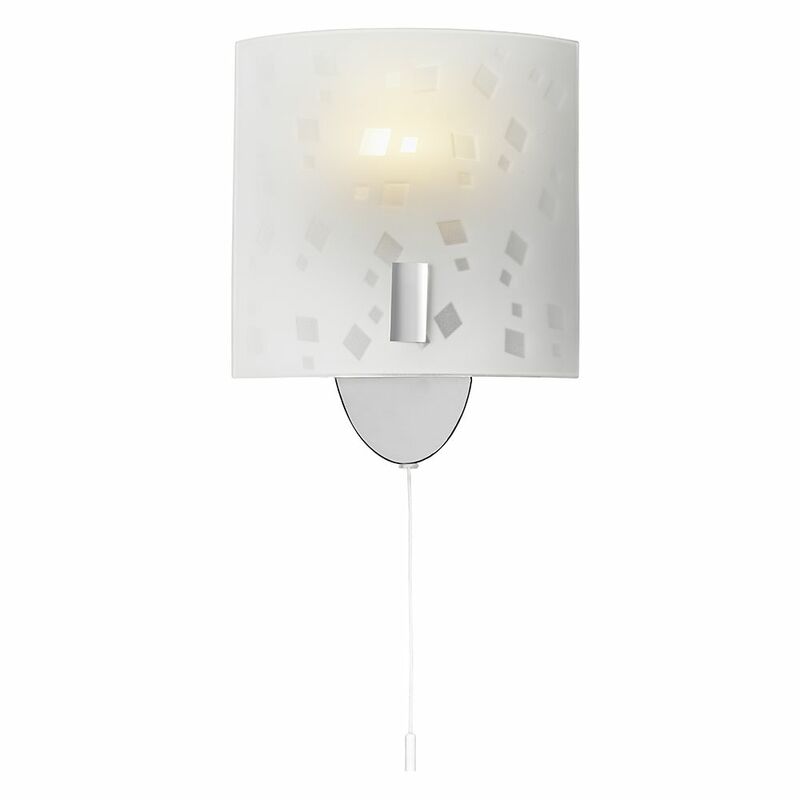 Includes square opal white glass diffuser shade with inner clear decorative stripes running up and down. The product dimensions are: Height - 17cm, Projection - 7cm, Width - 17cm. Requires 1 x maximum 40watt SES (E14) bulb - not included. Low energy and LED bulbs may be used if desired. 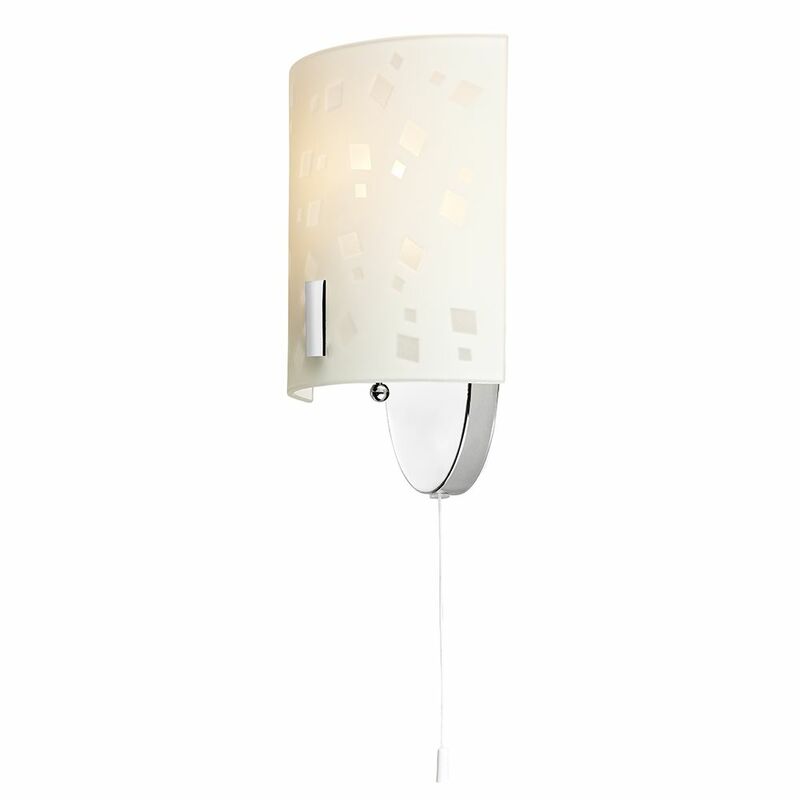 Featuring a white pull down cord to turn the product on or off.